Race a crocodile and see like a bat! Meg was previously a Learning Officer at National Museums Scotland. 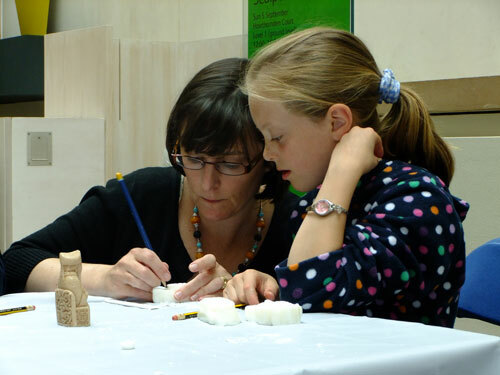 A few weeks ago I wrote about a family event where visitors to the National Museum of Scotland were invited to sculpt their own giant chessmen, inspired by our special exhibition The Lewis Chessmen: Unmasked. Well, this weekend, we went to the opposite end of the scale and invited visitors to try their hands at carving their own diminutive life-size chessmen. Realising it might prove a little tricky to get hold of enough walrus tusks for the purpose, we offered participants an alternative material to work with – soap. It turns out a bar of soap is the perfect size and shape for this task. Artist Hannah Ayre led the activities with the help of Fiona, the newest addition to the Learning and Programmes team, and our excellent volunteers Katy and Rebecca. Armed with clipboards and paper, our budding sculptors paid a visit to the real chessmen for inspiration; they sketched out their designs using our big chessmen photos and replicas as a visual reference. Luckily, Hannah had prepared some prototypes so everyone could see the kind of effects that were possible. Of course, some people just couldn’t wait to get stuck into their bar of soap and dived in straight away, experimenting as they went along. 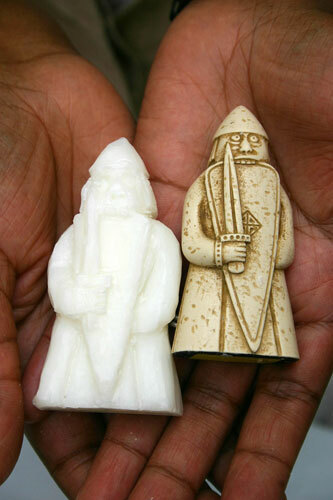 Attention to detail: carving a Lewis chessman bishop. 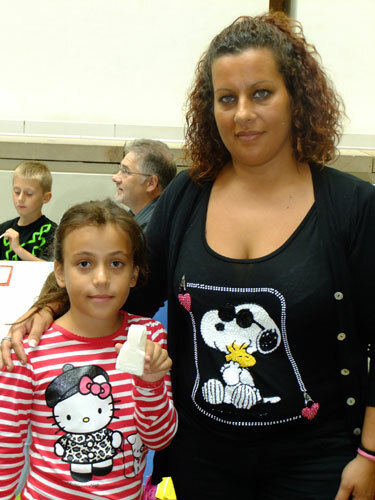 The atmosphere was really calm and relaxed with adults and children equally absorbed by their creations. And who says we don’t have attention spans any more? The people who took part spent ages getting their chesspieces just right. Three members of the same family worked together to create their own queen – they were the epitome of teamwork. Others got so caught up with their carving they seemed to entirely forget about their surroundings. A finished chesspiece carved from soap. One thing’s certain, spending time looking closely at the chessmen and attempting to carve our own 3D figures really made us all appreciate the amazing craftsmanship of those sculptors from Trondheim. 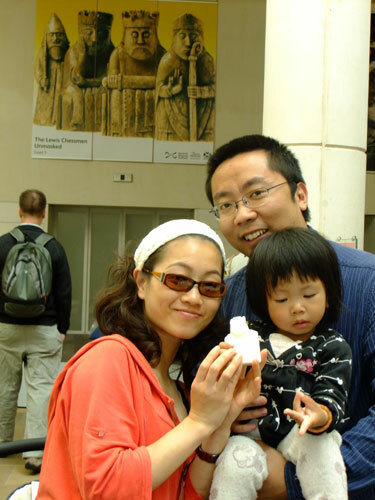 A family display their chesspiece. You can see more pictures from the event on Flickr.